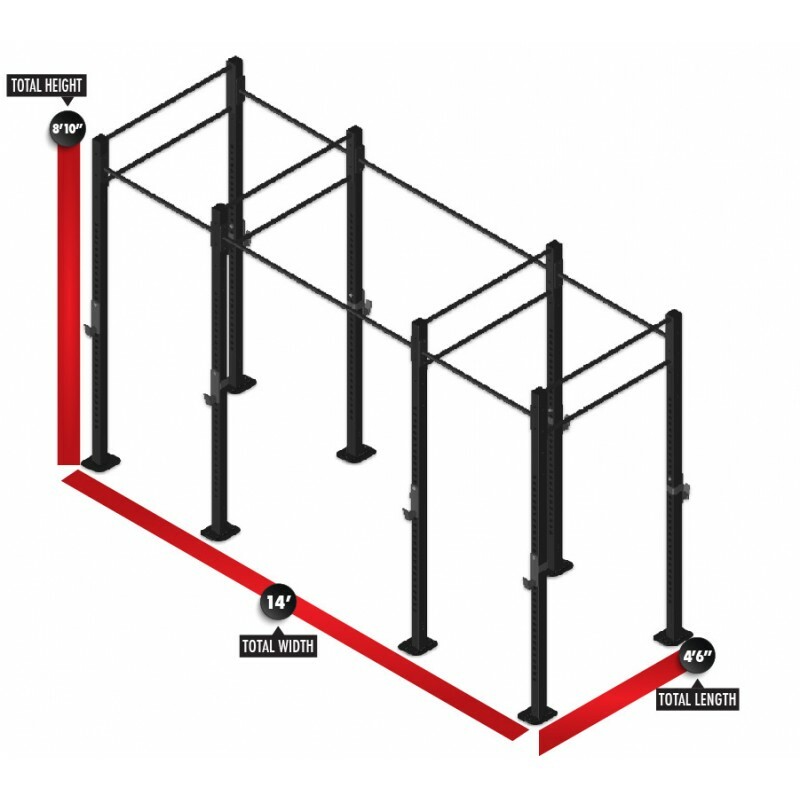 The 14-Foot Free-Standing Continuum Rig Package is the perfect free-standing rig for smaller spaces, or the perfect starting point to a custom free-standing Continuum Rig system. All eight Continuum Rig supports are made of fully welded 3×3-inch 11 gauge steel and have two-inch hole spacing and laser-cut numbering. Eight of our welded five-piece J-hooks are included, along with four four-foot double bar connectors for stability, four four-foot standard bars, and two six-foot standard bars.